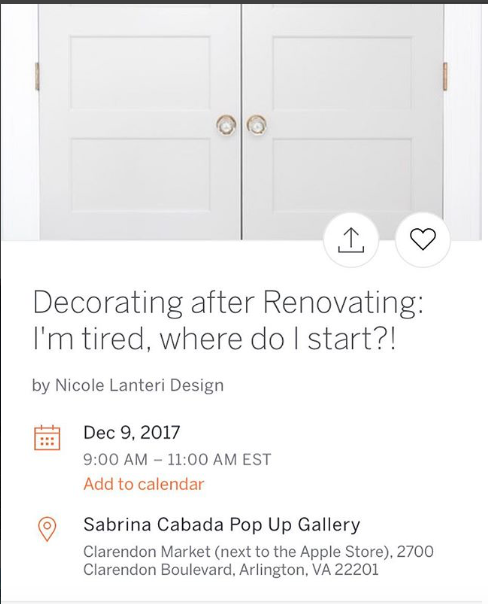 Upcoming event at the pop up: Decorating after Renovating: I'm tired, where do I start?! Nicole Lanteri Design will be launching a series of Decorating Classes around town! 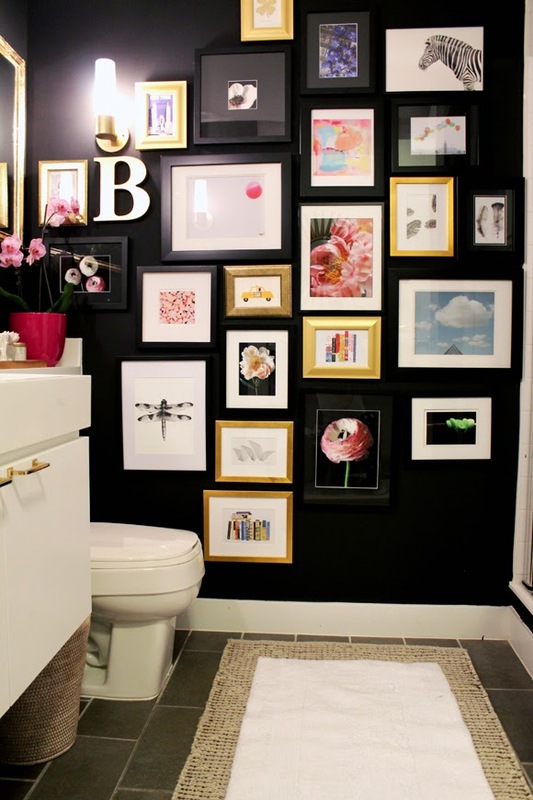 A lot of people are in the throws of finishing up a renovation at year-end and the goal is to just.get.in.the.house. not even thinking about decorating! We’re here to try to make that decorating process less daunting and give you the tools you need to make your home feel amazing and mildly decorated after the investment you made into the renovation of your home. The first class of Nicole's series will be held at the POP UP! Come Saturday morning 12/9 9a-11a and then you can do your holiday shopping and errands right there. Tickets are $75. Don’t worry — we’ll have great coffee, tasty food, cute pens/paper — just bring your questions, before/during/after pics, crazy renovation stories and fun ideas you’ve been wanting to try! We’ll have fun and set you on a path to enjoying your home sooner than you thought possible at this point. click here for tickets! Hope to see you at my pop up art gallery this holiday season! Please follow me on Facebook , Instagram or go to my website for pop up updates. Contact: sabrina@sabrinacabada.com or 703.629.5751 for details or questions. November is filling up with cool events so don't miss out!!! Follow me on facebook and instagram for invites and updates. The talented Jacky Longwell will be designing custom floral arrangements for the pop up and you! Come in and walk out with one of her unique creations. Place an order for an upcoming event, a special gift for a friend or a beautiful centerpiece for your Thanksgiving table. Check out her instagram here. I will be painting a piece of artwork a day during the thirty days of November. View each piece daily on instagram or Facebook. Come in and create with me. I have extra easels for drop-in painting. I will supply you with a 16 x 20 canvas, acrylic paint and brushes ($25 fee) or bring in your own materials (no charge). Challenge starts tomorrow. Wish me luck.